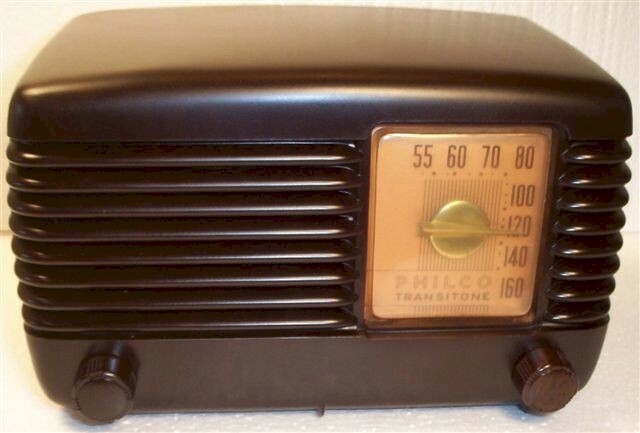 Early classic walnut plastic post war AM table radio. "All American Five" tube design. Electronically restored and works great! Receives local AM stations well. Has rotary tuning dial and the typical look of the 1950's era plastic table radio. You are visitor number 4,027 to this page.